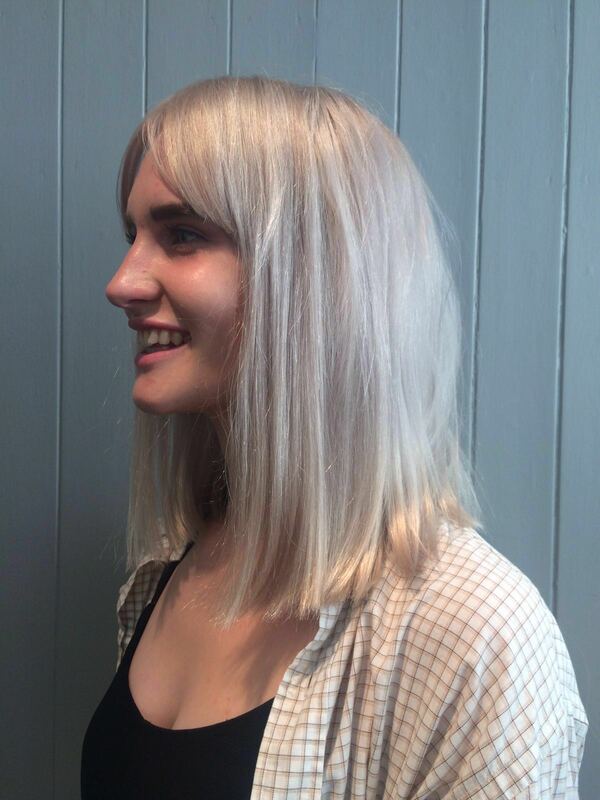 I really love doing ice blondes on my clients at the moment. It’s such a strong look. You really need to be sure that a ice blonde colour is for you. Heres what you need to find out before bleaching your hair and going for a cool icy tone. You need to maintain the condition of the hair when bleaching as the bleach can damage the hair making it feel dry. 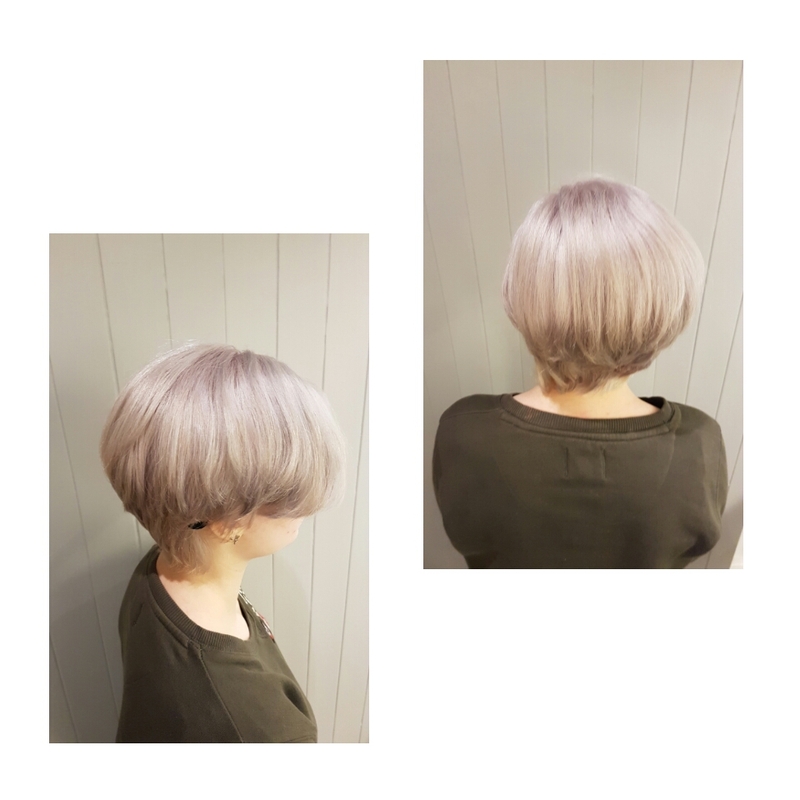 Using innoluxe treatment in with the bleach can really help prevent breakage and help to maintain the health of the hair, also helping with the shine of the hair. Cut down on using heated appliances as the heat will damage your hair further. Make sure your using a good moisturising shampoo and conditioner. 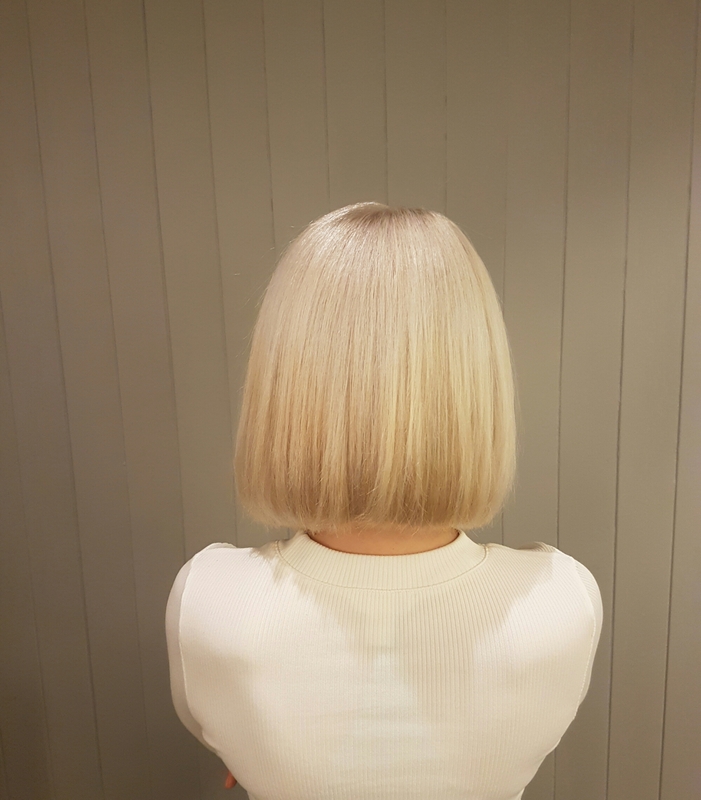 Think if you want a colour that is high or low maintain as going for an all over ice blonde look can take a lot of looking after you will need to coming back to the salon every 6 weeks to get your roots done,as if you leave it longer you may get colour bans and look patchy. 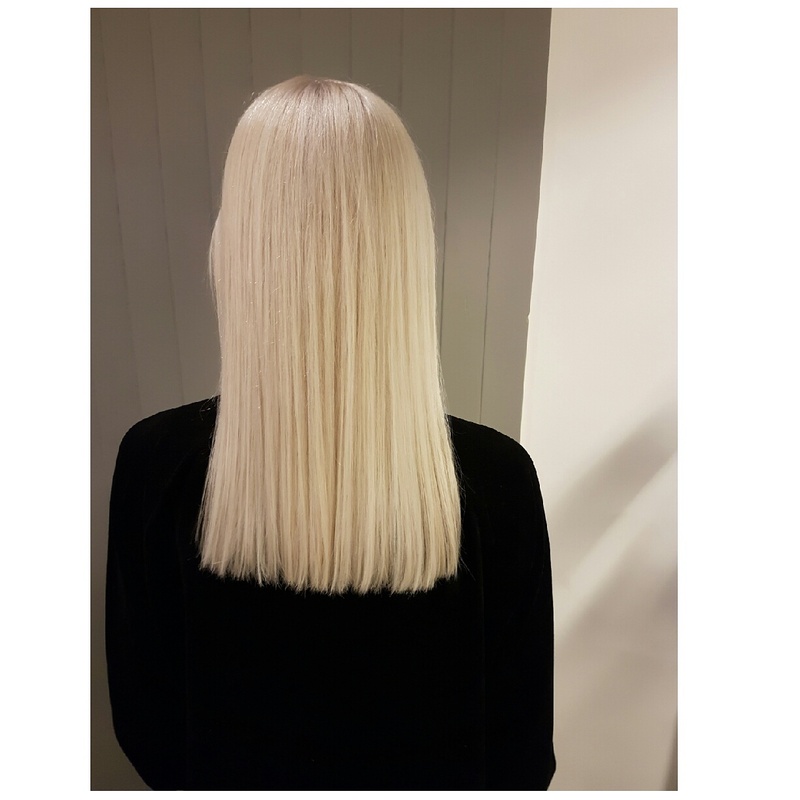 You will need to either top up your toner at home with a coloured conditioner or pop back into the salon in between having your hair lighten just to get the Icy toner. With the help of innoluxe. 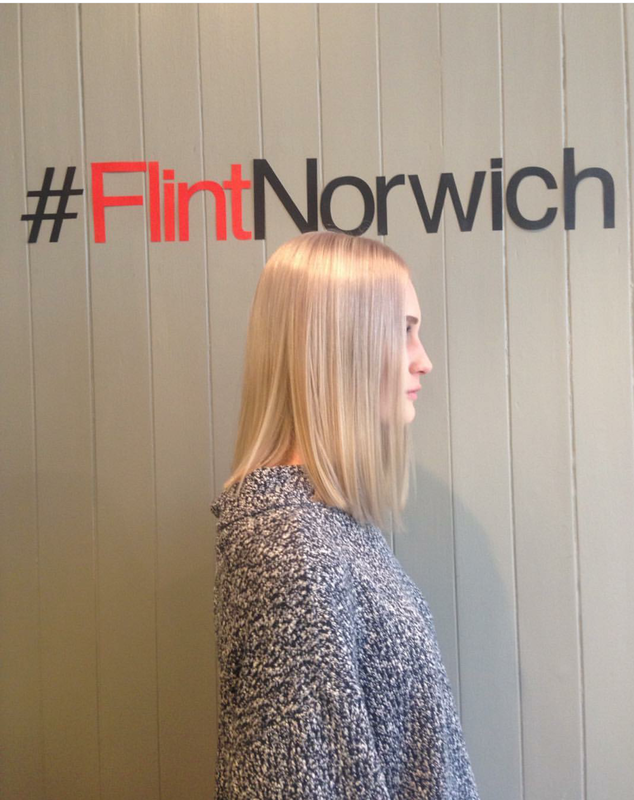 All colours compeleted at Flint Hair Norwich, all with Wella bleach and toners. Innoluxe in the colours with are stated. Davines and fourth floor shampoos and conditioners and styling products.